Place chicken wings in Instant Pot, and in a bowl combine BBQ sauce, honey, chipotle, peach preserves plus Holland House® Sherry Cooking Wine and pour over chicken. Close vent and lid. Set on high pressure for 12 minutes. When finished, vent steam. Heat oven to broil. Line a cookie sheet with foil and transfer wings to cookie sheet. Broil for 4 minutes. In the meantime, combine cornstarch and cold water until well combined. Add to BBQ sauce in Instant Pot on sauté setting and continue cooking for 2 minutes. 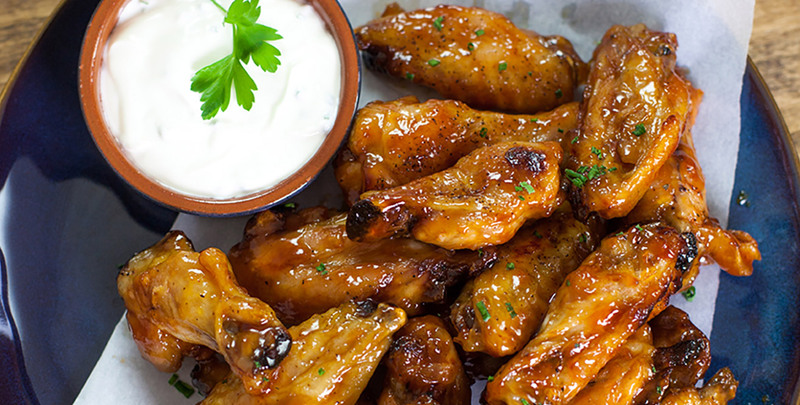 Serve extra sauce with wings or baste again and broil for 2 minutes for stickier wings. Garnish with chives and ranch dressing.